Rochester, Minnesota is perhaps best known as the home of the Mayo Clinic, one of the top-rated hospitals in the U.S. that employs nearly 33,000 people and attracts over one million visitors annually to downtown. As part of a larger effort to guide the growth and vitality of the downtown area and entice visitors and employees to spend time there, city officials have taken great strides to improve the public spaces adjacent to the clinic. In 2005, PPS assisted city staff and community members in creating a vision for a network of vibrant public spaces and people-friendly places centered on Peace Plaza, a large public space at the foot of the clinic (for more information, see our report, A New Vision for First Street Promenade). 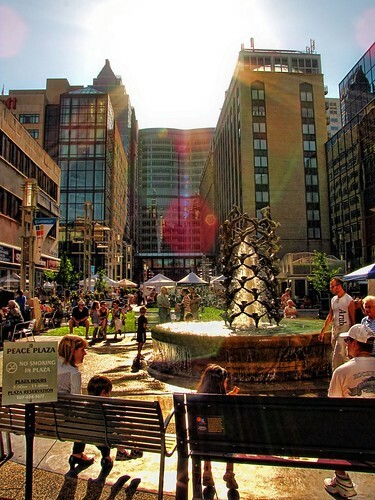 Since then, Peace Plaza has been rebuilt and is now actively programmed with year-round events under the leadership of the Rochester Downtown Alliance. 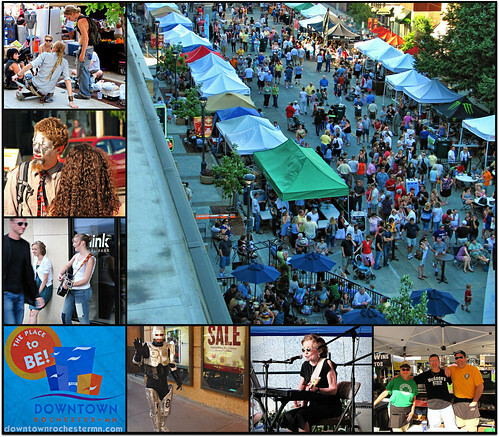 The weekly summer market, “Thursdays on First & 3rd,” attracts over 130 vendors and live music, dance performances, food, and crafts. Winter events have also been successful, drawing 4,000 people to the plaza despite the frigid Minnesota weather. 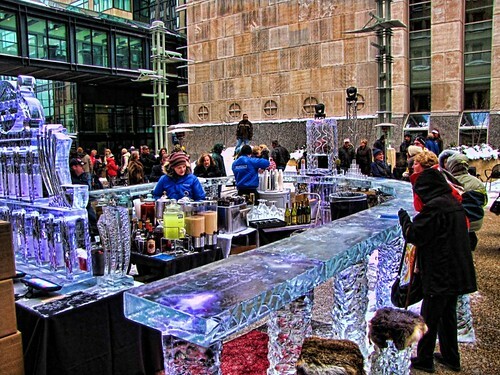 The German-style Winter Market Festival has caroling, crafts, and entertainment; the February “Social-Ice” event features Minnesota's largest Ice Bar, as well as ice sculptures, furniture, and live music. Jon Eckhoff, head of the Rochester Downtown Alliance, sees the activities and events at Peace Plaza as something that can continue to progress and work off of the large-scale goals of the Downtown Rochester Master Plan. With expected growth at the Mayo Clinic and expansion of the University of Minnesota, great opportunities exist to continue shaping the growth and vitality of the downtown. Strong management and programming at Peace Plaza will help it continue to grow as a vibrant public space that the community can identify and engage with.